the Weekly Trending Fandom show » Marvel’s Daredevil to Be “InShane” Next Season? Marvel’s Daredevil to Be “InShane” Next Season? 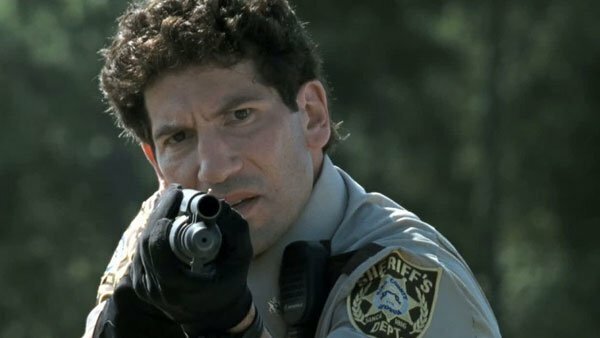 As reported by Marvel, Jon Bernthal, known for his portrayal of Shane Walsh on the popular AMC series The Walking Dead has joined the cast of Netflix original series Daredevil from Marvel Comics. Daredevil, a series about blind lawyer Matt Murdock and his vigilante superhero alter ego Daredevil, is Netflix’s latest breakout original hit. It’s part of a deal between Marvel and Netflix to produce five Marvel-branded series on the online streaming service, and Season 2 will premiere sometime in 2016. For those that don’t know, the Punisher, a.k.a. Frank Castle, is a vigilante from the Marvel universe who uses guns, guns, and more guns to clean the streets of scumbags and lowlifes. In addition to having his own line of violent comics, the Punisher character has appeared in several films, played by the likes of Dolph Lundgren, Thomas Jane, and Ray Stevenson. And for a wacky Walking Dead connection, the character was voiced by The Walking Dead’s Norman Reedus in the anime film Iron Man: Rise of Technovore.